Home /Home/Some privately blame Donald Trump for failing to issue a tough ultimatum. Some privately blame Donald Trump for failing to issue a tough ultimatum. 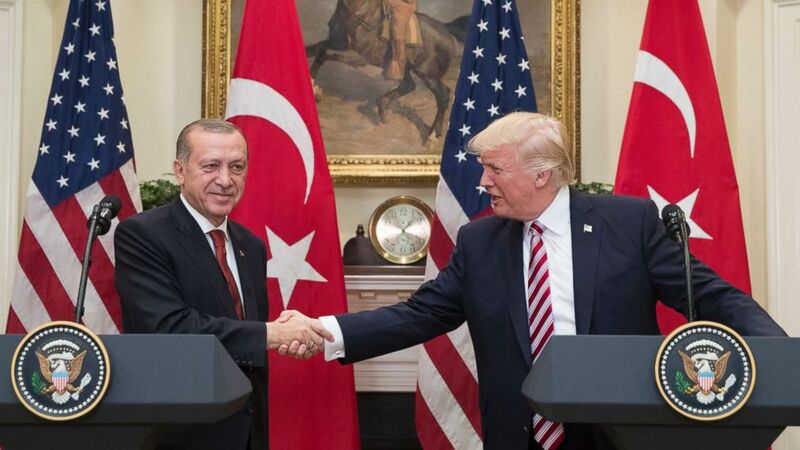 (Michael Reynolds-Pool/Getty Images, FILE) President Donald Trump shakes hands with President of Turkey Recep Tayyip Erdogan in the Roosevelt Room where they issued a joint statement following their meeting at the White House, May 16, 2017, in Washington, DC. 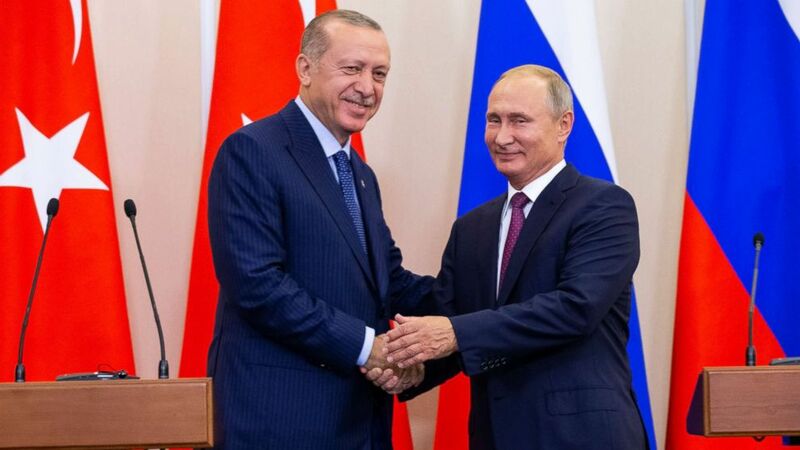 (Alexander Zemlianichenko, Pool via AP) Russian President Vladimir Putin and Turkish President Recep Tayyip Erdogan shake hands after their joint news conference in Sochi, Russia, Sept. 17, 2018.